Per Ordinance 1994-8, any business operating within the city limits of Walhalla is required to purchase a business license. Fees are based on the rate class associated with the North American Classification System (NAICS). Please contact our office for the correct classification of your business. All City of Walhalla business licenses expire December 31st. A 5% penalty per month will be added if not paid by May 1st on all businesses located within the City limits of Walhalla. All non-resident businesses coming into the city limits to work must also apply for a City of Walhalla business license. The license is based on a per job basis. 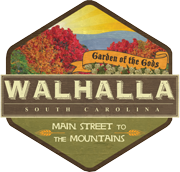 Every job requires a current City of Walhalla business license or update. Information/New Business Application – Please Call – 864-638-4343 – Monday – Friday 8:30 am until 5:00 p.m.